Kilmarnock [Scotland]. 28 July 1798. 1p., 4to. In fair condition, on aged paper with loss to corners caused by removal from mount. Glencairn writes that with Eglinton's 'approbation' he offers 'to raise for His Majesties Service an Independant [sic] or Volunteer Company in the Parish of Kilbride Ayrshire Consisting of Sixty Men inclusive of non comissioned [sic] Officers Drums & Fifes or otherways as shall be deem'd most proper - upon the Same Footing and Regulations as other Independant [sic] or Volunteer Companys - and to serve within the District'. Typed Letter Signed ('Ballantrae') from Lord Ballantrae [Brigadier Bernard Edward Fergusson, Baron Ballantrae] to Antony Brett-James of Sandhurst, on topics including his editing of 'The Oxford Book of Military Anecdotes' and his wife's death. On his letterhead, Auchairne, Ballantrae, Ayrshire. 29 March 1980. 1p., 4to. 30 typed lines, with the last two lines in autograph. In good condition, on lightly-aged and creased paper. Brett-James is addressed as 'Head of Department, War Studies & International Affairs, Royal Military Academy, Sandhurst'. Seven manuscript items relating to the claim of Sir Adam Fergusson of Kilkerran to the title of Earl of Glencairn and Lord Kilmaurs, including a petition, memoranda, lists of evidence, judgement. Scotland and England; 1796 and 1797. The background to the collection is simply stated. On the death of the 15th Earl of Glencairn in 1796 the title became dormant. It was claimed by Fergusson (praised by Boswell but dismissed by Johnson as 'a vile Whig' and derided by Burns as 'aith-detesting chaste Kilkerran') as heir of the line of the 10th Earl. Fergusson's claim was opposed by Sir Walter Montgomery Cunningham of Corshill, as presumed heir male along with Lady Henriet Don, sister of the 15th Earl, and wife of Sir Alexander Don of Newton Don, Roxburghshire. 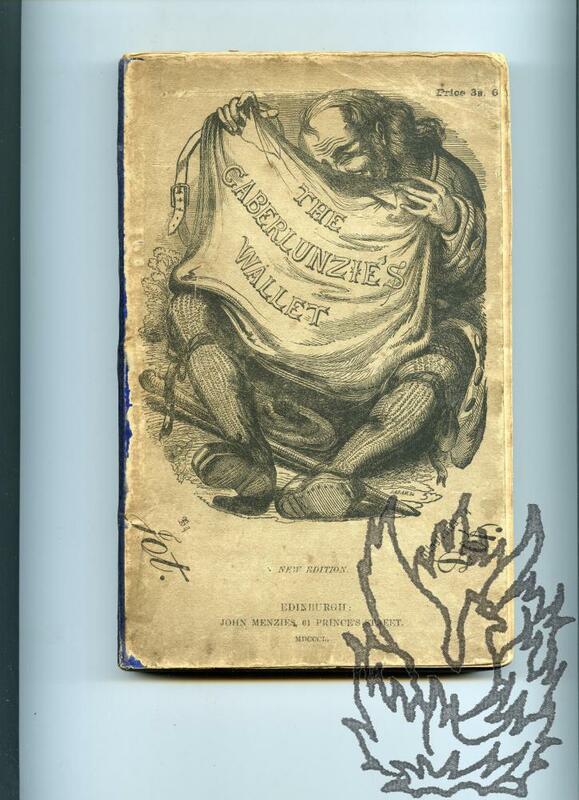 The Gaberlunzie's Wallet. With numerous illustrations on steel and wood. INSCRIBED to 'James R. Fergusson Esq with the kind regards of James Ballantine | Edin[burg]h 16th May 1870'. With Fergusson's armorial bookplate on front pastedown. 8vo: 311 pp. Plates throughout (not listed) and numerous illustrations in text. 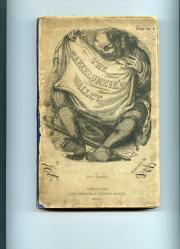 In original printed grey boards with grotesque illustration on front and blue cloth spine (New Edition" - only on cover). Stabbed as issued (bound up by the publisher from parts?). Tight, but on aged paper with occasional light staining, and wear to extremities. Boards heavily worn, with 3 cm closed tear at head of rear.